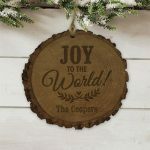 Beautiful Christmas ornaments are a wonderful way to capture the warmth and excitement of the holiday season, and we’ve got a magnificent selection that you are certain to adore for many years to come. 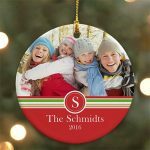 Whether you are searching for whimsical Christmas ornaments for the kids, handcrafted or personalized ornaments to treasure, or shimmering pieces to add some pizazz to the tree, our fabulous merchants have just what you need. Choose from stunning, traditional style creations, festive characters, and so much more to brighten up your holiday home. Forget about those mass-produced Christmas ornaments down at the local big box store, many of our unique ornaments are one of a kind items you simply won’t find anywhere else. 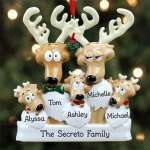 Christmas ornaments are fabulous Christmas gifts for everyone on your list. 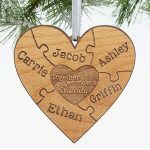 Present them to that newly married couple to help them begin building special memories, hand them out to coworkers at your next holiday business party, use them to celebrate baby’s first Christmas, or give them to parents and grandparents to add to their holiday keepsake collection. 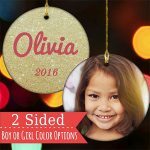 Holiday ornaments make great stocking stuffers for the kids as well! 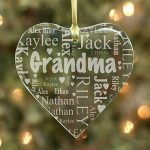 Be sure to check out photo ornaments that bring Christmas memories back to life, personalized family ornaments that feature your entire family, or even container ornaments that are designed to hold tiny gifts. Christmas ornaments don’t have to be just for the tree! In fact, there are tons of things you can do with these magnificent creations to liven up your home during the holidays. Shelves and Mantels: A collection of character ornaments, for example, can be arranged in a unique way to dress up your favorite shelf or fireplace mantle. Use your favorite ornaments by themselves, or group them together with other Christmas decorations to create a magical winter scene. 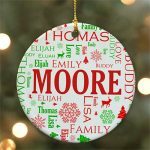 Wreaths and Garland: Customize your wreaths and garland when you attach Christmas ornaments to them in just the right places. Create a “Years of Christmas” display when you add ornaments of the year to a string of lighted garland, or arrange them on various lengths of garland to decorate doorways and window tops. Tabletop Centerpieces: A quaint collection of brilliant ornaments make a unique conversation piece for your dining room table. Arrange them on a holiday platter sprayed with a little fake snow and you have a centerpiece that is truly one of a kind.